Over 4th of July weekend, I took the 6 hour trip to Maine – or 9 hours if you hit weekend traffic like I did. Doing a brewery/distillery tour is a must when you’re in Maine. I don’t like beer so we only went to New England Distillery, but it was very interesting! 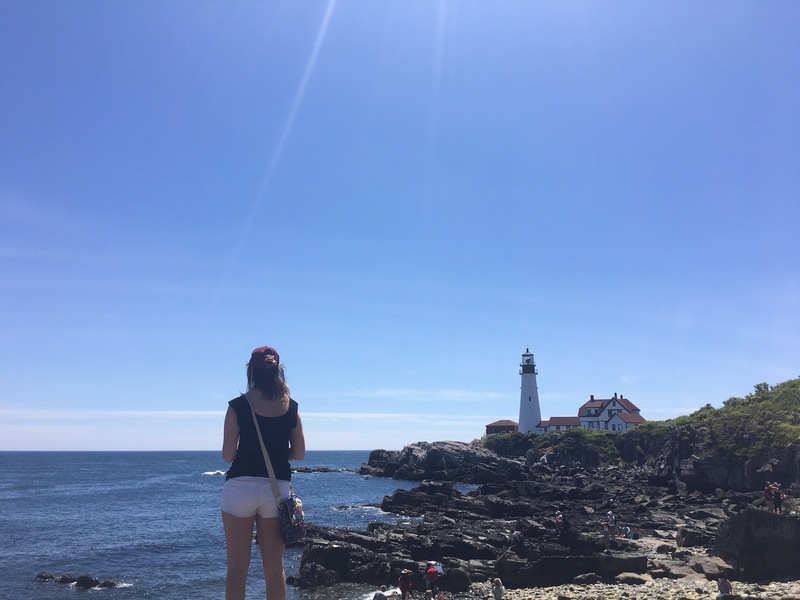 Portland Head Light and Fort Williams Park have amazing views and history. Bug Light and Willard Beach were near where we were staying, we relaxed on the beach then headed over to Bug Light to watch the sunset. The views in Portland are amazing. As for food, I would 10/10 recommend C Salt Gourmet Market for breakfast, Portland Lobster Co. and Gilbert’s Chowder House for lobster rolls, and Elsmere BBQ and Otto’s Pizza for other nomz. Gorgeous Gelato was okay and we weren’t huge fans of Old Port Sea Grille compared to the other yummy food we got this restaurant fell short. Overall, I am so happy I went to Portland, Maine and would definitely recommend popping in for a short trip! Maine itself has so many cool hiking trails and such so I’d love to go back to see more of it. Previous Previous post: How Do You Know You’re Doing What’s Right?